The Ten Tenors are returning to the United States this December for an 18-date tour of the East Coast and Midwest. As such, the Australian vocal group will offer a concert at Queens College’s Colden Auditorium in Flushing on Sunday, Dec. 10, at 3 pm. The singers, whose voices generate “pure electricity and undeniable drama” according to The Los Angeles Times, will perform repertoire from their album Our Christmas Wish, which went to the upper reaches of Billboard’s Classical Albums chart. Partnering with St. Jude Children’s Research Hospital, record sales have already raised more than $1 million for the nonprofit organization that is leading the way the world understands, treats, and defeats childhood cancer and other life-threatening diseases. Selections from Our Christmas Wish include traditional standards such as “Joy to the World” and “O Holy Night,” as well as John Lennon and Yoko Ono’s “Happy Xmas (War Is Over),” “Feliz Navidad” by José Feliciano, Irving Berlin’s “White Christmas,” and “All I Want For Christmas Is You,” the Maria Carey hit. 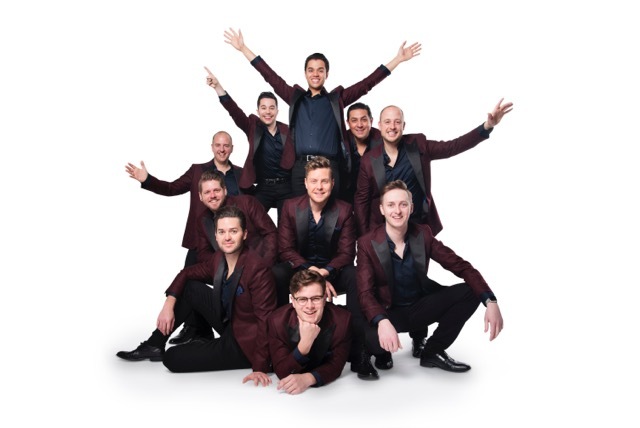 Now enjoying their 20th year together, The Ten Tenors playfully blend rock, pop, and opera, and are “truly incandescent when performing at the full strength of 10,” according to Variety. The New York Times says their “unique mix of the traditional and unconventional offers a fresh and highly original take on the staid traditions of opera.” The group has appeared on The Today Show, Oprah’s Australian Adventure, and Extreme Makeover: Home Edition, among others. More than 90 million people worldwide have attended their live performances, and they have shared stages with Lionel Richie, Rod Stewart, Andrea Boccelli, Willie Nelson, Alanis Morissette, and Christina Aguilera. Colden Auditorium is located at 153-49 Reeves Ave., near the intersection the Kissena Boulevard and Horace Harding Expressway. Tickets run from $30 to $55 and can be purchased at http://kupferbergcenter.org. The Ten Tenors tour — say that 10 times fast — begins in Maryland at the Ocean City Convention Center and then heads north and west to Massachusetts, Ohio, Pennsylvania, New York, and Indiana. The journey concludes in South Carolina, Georgia, and Florida. No user commented in " Australian Vocal Group THE TEN TENORS performs in Queens during 2017 Holiday Tour "